The founder of the company, Kim is an acknowledged specialist in Executive Recruitment across Logistics and Supply Chain sectors. He has held senior executive positions within international Logistics, Supply Chain and Freight organisations during his 35 year career. Kim often speaks at international conferences / events and regularly contributes thought leadership to industry media. He has been involved in a number of Disaster and Humanitarian Logistics initiatives and is the founder of not for profit organisation www.oasisafrica.net. 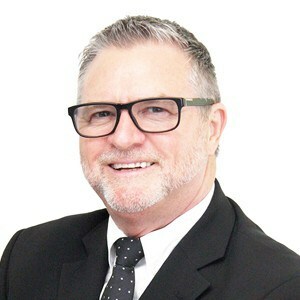 A regular contributor of thought leadership to industry and media, he is a professional Master of Ceremonies, frequently invited to Chair international events on contemporary / future industry trends and leadership issues. A hands-on leader working with his teams from the company’s offices in Sydney, Dubai Melbourne, Singapore, Hong Kong, Shanghai, Chennai, Mumbai, Delhi and London, he is a Board member of over a dozen companies throughout APAC, India and the Middle East. A New Zealand citizen, he holds formal resident status in Australia and the United Arab Emirates and is the Australia & New Zealand appointed representative for the UAE Govt owned Jebel Ali Free Zone (JAFZA), one of the world’s largest Economic Free Zones. An active sportsman, triathlete and ex-professional rugby player, Kimble advisor to charity Boards and Founder / Chairman of successful not for profit humanitarian organization Oasis Africa www.oasisafrica.org.au working with local communities to provide sustainable primary / secondary education, security and holistic support in some of East Africa’s most notorious slums. Kimble is an experienced Executive Performance Coach and holds an MBA and BA – Massey & Victoria Universities (NZ). Where is the Industry Headed and What Can We Look Forward to in 2019?